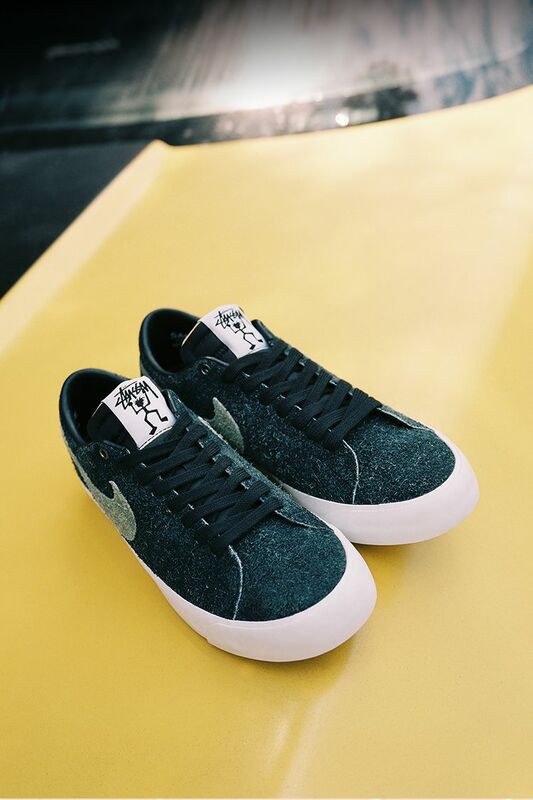 Nike SB, Stüssy and Ohio skateboarder Kevin Terpening, AKA "Terps", join forces for this limited-edition Blazer Low. 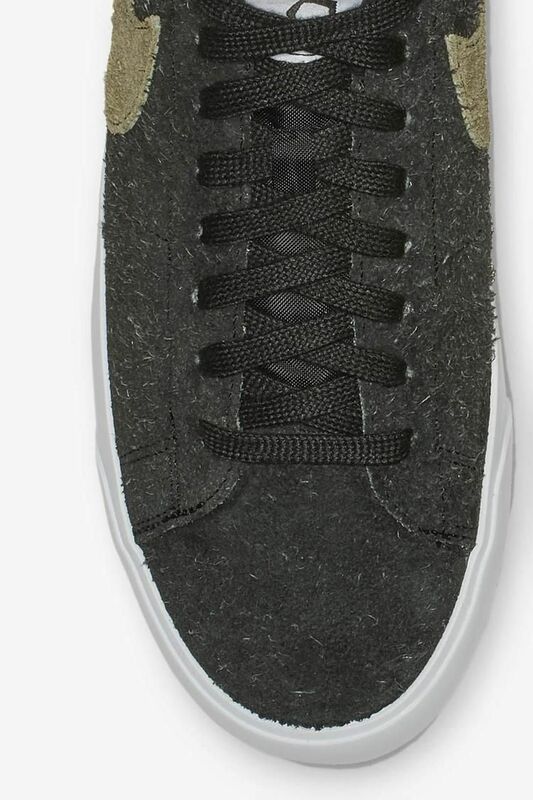 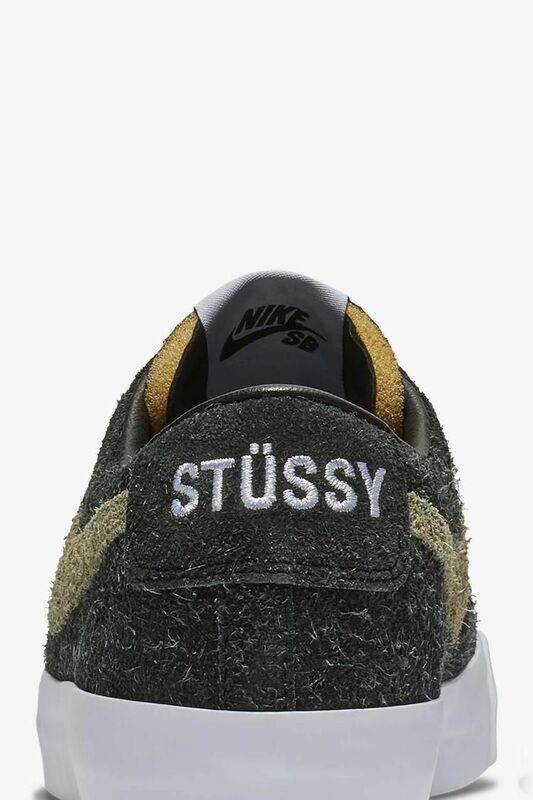 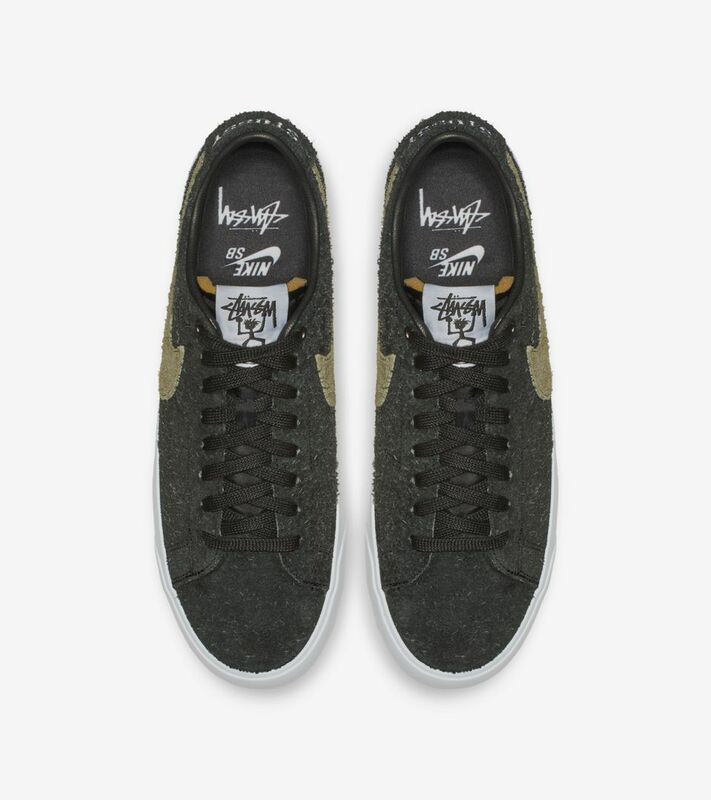 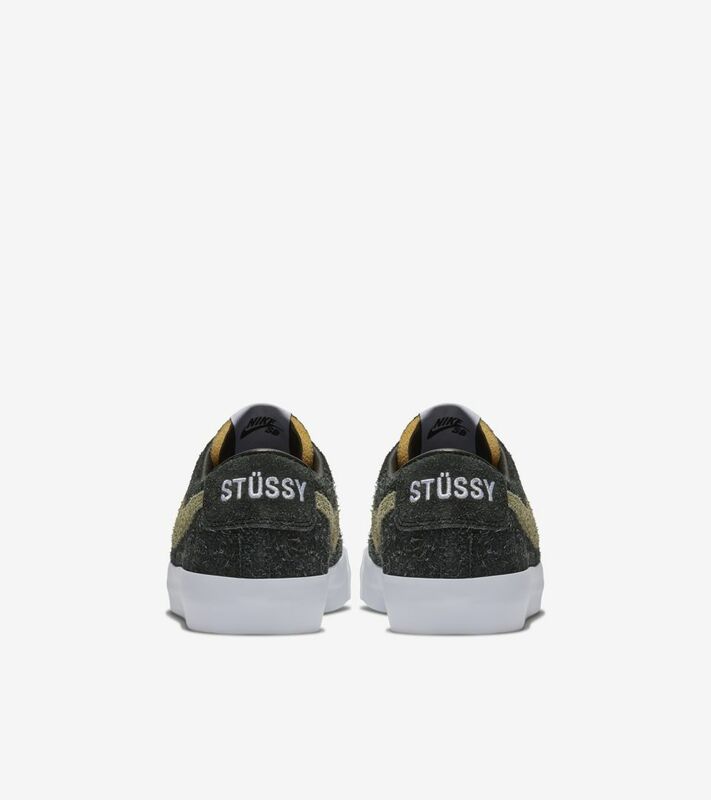 Black shaggy suede, olive green accents and that unmistakable Stickman logo make the shoe classic Stüssy. 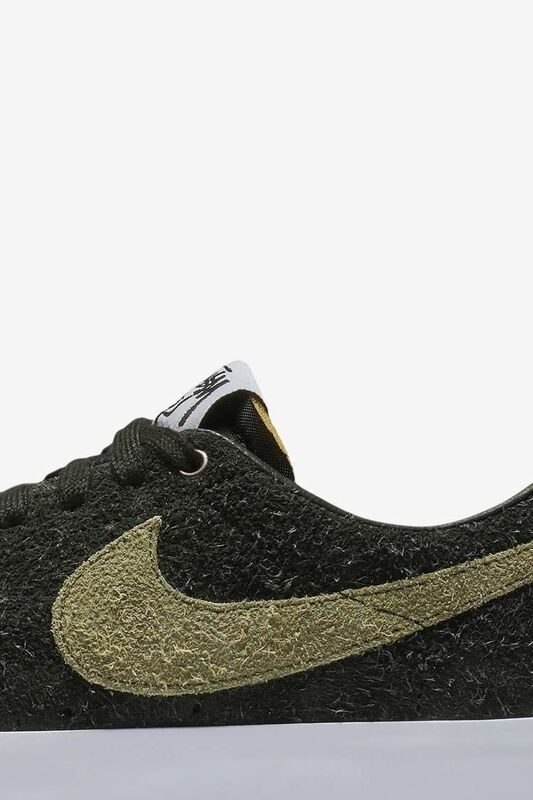 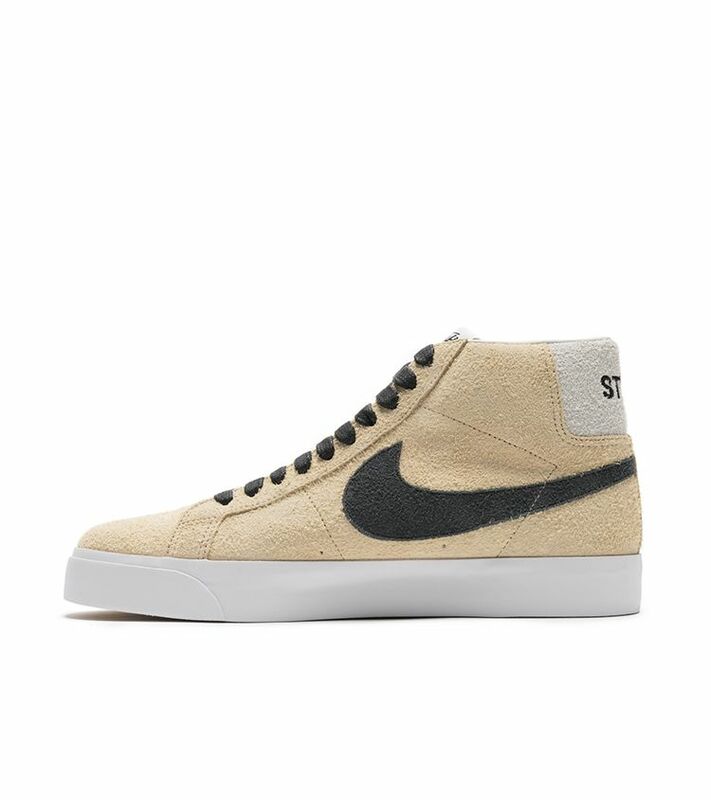 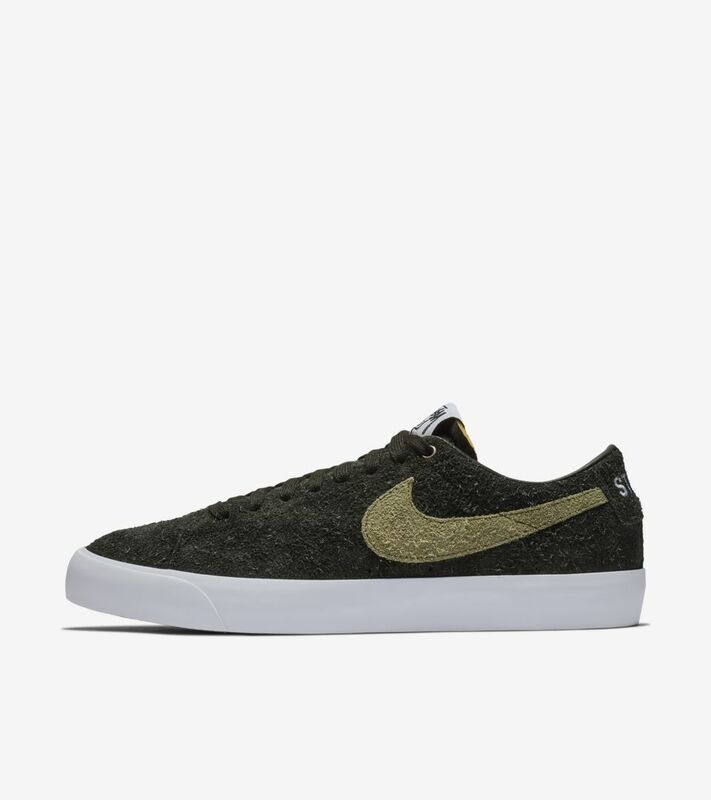 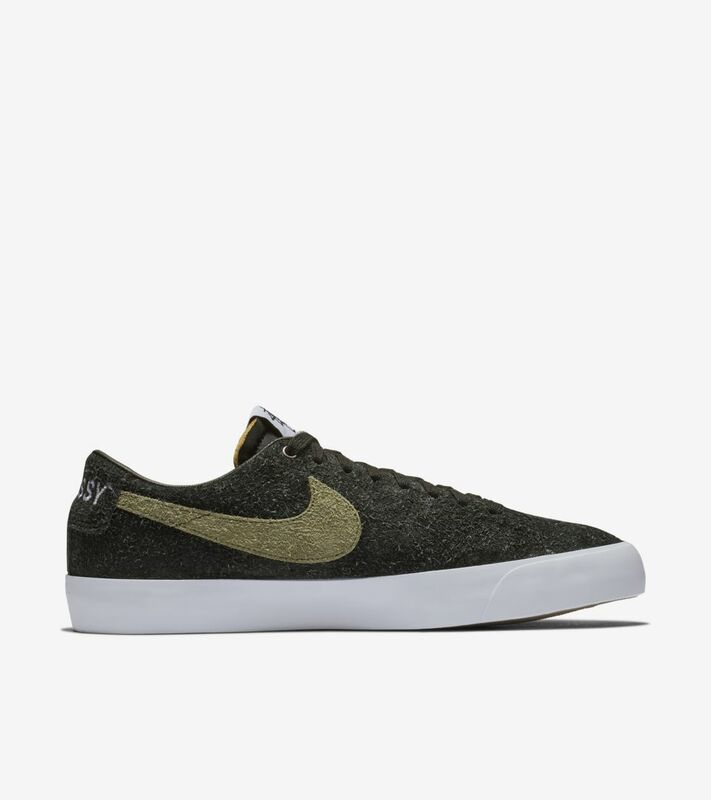 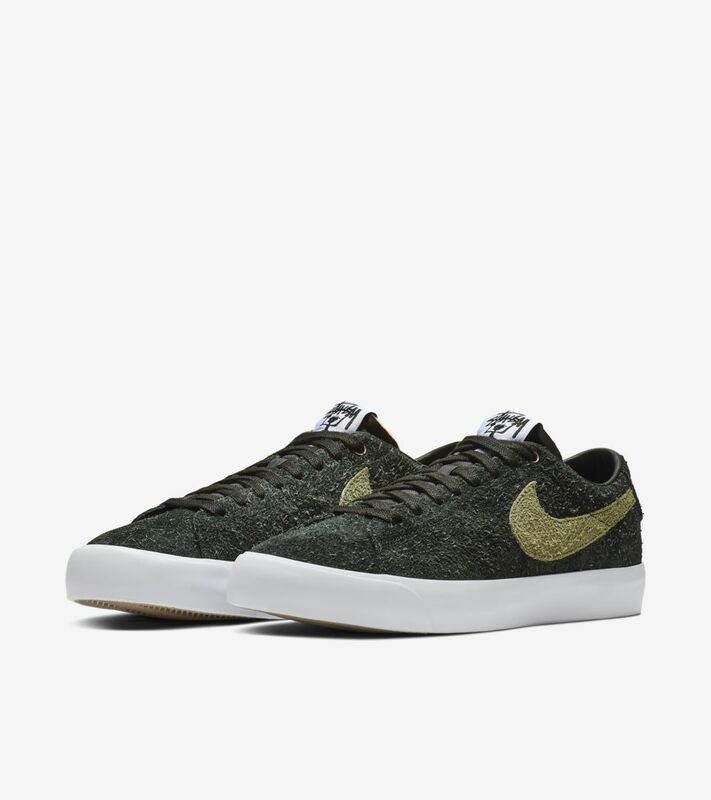 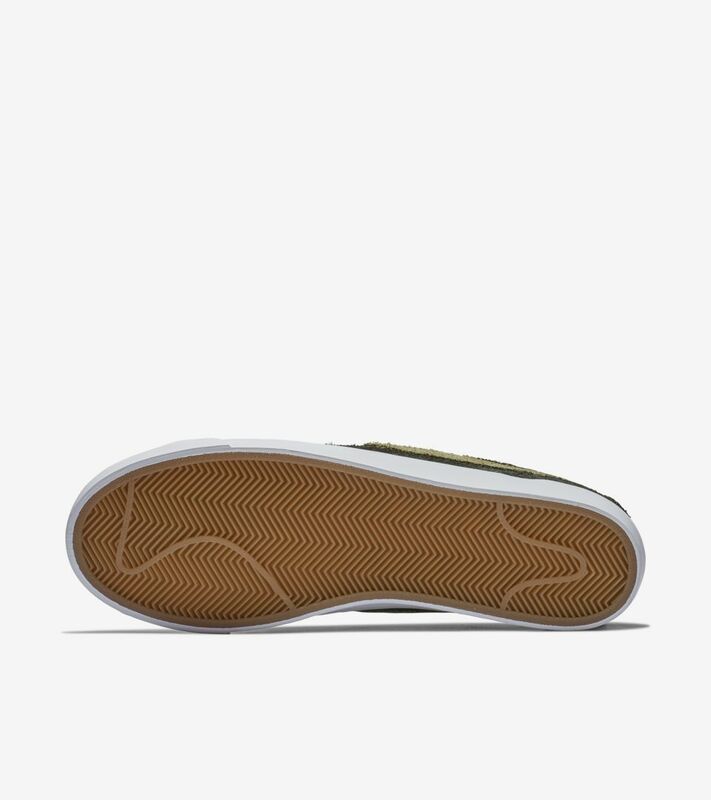 Nike Zoom Air in the heel and a sticky herringbone sole make it classic Nike SB.